Yes! 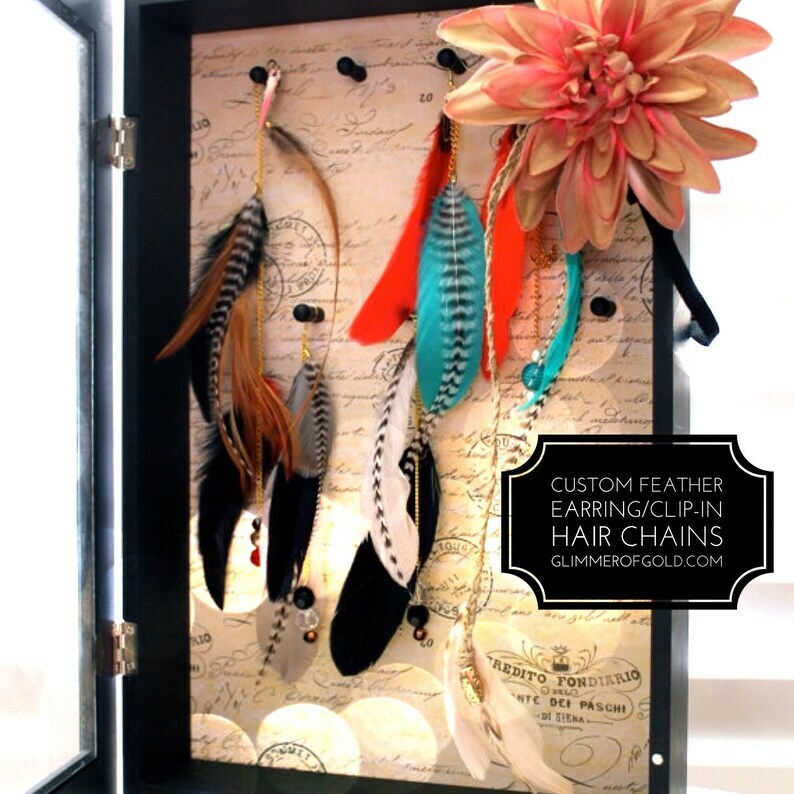 My popular original feather hair chains are BACK! I've been hearing a calling to revive my love for feathers just in time for all the summer music festivals!!! The earring is approximately 9-12" inches long including the length of the feather and you can specify if you would like to have it adjusted to the length of your hair. The feathers flow beautifully with your hair, you'll love it. - You choose the colors (up to 3 options) of feathers. ** Charms and lockets are additional, please message me if you want to add this. If you are interested in a custom order, please send me a message. ** All earrings are beautifully packaged in a secure box, so you can pack it right up for your awesome adventures!